Low glycemic index (GI) pre-exercise meals may enhance endurance performance by maintaining euglycemia and altering fuel utilization. However, evidence for performance benefits is equivocal. 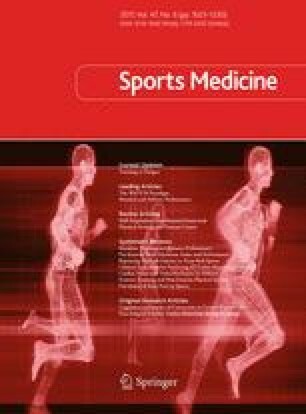 To evaluate the effect of a low GI (LGI) versus a high GI (HGI) pre-exercise meal on endurance performance using meta-analyses. Data sources included MEDLINE, SPORTDiscus, AUSPORT, AusportMed, Web of Science, and Scopus. Eligibility criteria were randomized, crossover trials with an endurance exercise (≥60 min) component, e.g., time trial (TT), time to exhaustion (TTE) test, or submaximal bout followed by TT or TTE. Participants were healthy, active individuals aged ≥16 years. Interventions included a LGI (≤55) and HGI (≥70) meal ingested 30–240 min before exercise. Study quality was assessed using an adapted version of the validated Downs and Black tool. Effect size (ES) and 95 % confidence interval were calculated for each study and pooled according to performance test type and whether exogenous carbohydrate (CHO) was given during exercise. Potential effect modifiers including exercise duration, pre-exercise meal timing, glycemic load (GL), and fitness were assessed using meta-regression. The search netted 3431 citations with 19 studies eligible for inclusion (totaling 188 participants; 91 % male; VO2max: >50 ml/kg/min). Meals with 0.18–2 g CHO/kg body mass, and a mean GI and glycemic load of 82 (GL: 72) and 35 (GL: 32) for HGI and LGI, respectively, were given between 30 and 210 min before exercise. All test types without CHO ingestion during exercise showed slightly improved performance with LGI, but no significant pooled effects were observed (ES: −0.17 to −0.36; p > 0.05). Studies where exogenous CHO was ingested during exercise showed conflicting results (ES: −0.67 to 0.11; p = 0.04 to 0.94). No significant relationship was observed with any of the effect modifiers (p > 0.05). No consistent metabolic responses (glucose, insulin, lactate, respiratory exchange ratio) during exercise were observed with either meal type. There were small numbers of studies within each exercise testing protocol and limited statistical power within studies. Pre-exercise meal timing, GL, meal composition and participant fitness varied across studies, limiting the capacity to assess the influence of these factors on study outcomes. There was no clear benefit of consuming a LGI pre-exercise meal for endurance performance regardless of carbohydrate ingestion during exercise. The authors thank Sandeep Das and Susan Griffee for assistance with data extraction and methodological quality assessment. Catriona Burdon, Inge Spronk, Hoi Lun Cheng, and Helen O’Connor declare that they have no conflicts of interest.